Last year at this time I was preaching through Jonah. I wish I had Tim Keller’s latest book at the time. The Prodigal Prophet: Jonah and the Mystery of God’s Mercy should raise any controversy with the title. I’m sure there will be plenty to annoy some. But I loved reading this book. The book is dedicated to John Newton whose life and ministry made a big impact on Keller. Those familiar with Newton’s writings will find his influence in many places. He makes two passes through the book, exploring the themes that are found there. The first pass (9 chapters) handles the text sequentially. The second goes back through thematically to address our relationship to God’s Word, God’s world and God’s grace. It is in Keller’s typical winsome style that points out where we tend to go wrong whether to the left or the right. He’s an equal opportunity offender, but it is so gentle I don’t understand how people get so mad at him. He’s generally right. In the introduction he alludes to one of his other books. In the first half of the book Jonah is like the younger brother who goes to the far country to avoid his father. In the second half he’s like the angry older brother who is upset about the Father’s joy in repentance. Jonah stands out as the willfully disobedient prophet to a willfully disobedient people. He is the representative Israelite. Jonah doesn’t trust God. He doesn’t trust that God has his best interests in mind. He is so like, … us. Keller starts with the storms of life. “All sin has a storm attached to it.” (btw: I read people who claim Keller never talks about sin, or uses the word. What are they talking about?!) Jonah’s disobedience brought a literal storm not only into his life but the lives of the Gentile sailors. Sin’s storms don’t remain isolated to the particular sinner in question. “Sin is the suicidal action of the will upon itself.” He does clarify that most storms are from the condition of sin, meaning that we live in a fallen world and we don’t need to find the particular sin/sinner behind each hurricane, flood or drought. But know that when we sin, there are often earthly consequences. For the Christian, the storms of life (afflictions) are meant to produce good. He is at work in this storm to bring Jonah to Ninevah for them to receive mercy. For example, I saw a recent interview with Donna Rice who experienced a storm of publicity due to her affair with Senator Gary Hart. She said that the storm brought her back to her Christian faith. Next Keller explores the idea of who our neighbor is. These Gentiles are better human beings than the prodigal prophet. God is using the disobedient prophet to lead Gentiles to faith and repentance through his disobedience. Jonah only wants to see himself as an Israelite, as part of a faith community. He needs to also see himself as part of humanity, the broader community. Frankly, Christians have the same problem. We don’t have much concern with those around us as long as our lives are going okay. And so Keller explores common grace. He then moves into the “other”, the question of identity and those who have a different identity than we do. Jonah’s national identity blinded him in many ways. The early church would struggle with the same problem. We use that identity to exclude other people unnecessarily. We dehumanize people who don’t share our ethnic, national or political identities. We’ve seen this as one of the early steps in the holocaust and other genocides (Rwanda, Armenian etc.). This was very helpful as I preached thru Philippians 3 and the false identities we can boast in. Keller moves to the pattern of love, and the heart of the gospel with substitution. Jonah is a type of Jesus who would die for our sins instead of sins of his own. The storm of God’s merciful wrath (the phrase I used in my sermons, adapted by a phrase of Luther’s) is stilled. In this context he connects wrath with love too. God’s wrath is directed at actions (and people) who harm what He loves. He again clearly articulates the gospel contrary to what the discernment blogs claim about him. The Gentile sailors end up offering praise and sacrifices to YHWH after the storm is stilled. Keller notes the irony in that Jonah sought to avoid bringing truth to Gentiles, aka wicked pagans, but actually does anyway. He then delves deeper into grace as Jonah wrestles with God in the belly of the fish. 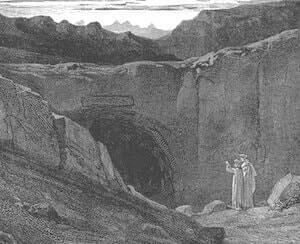 He’s gone as low as he can go (the literary irony) because he didn’t go up to Ninevah. Jonah “does business” with God only when he can no longer run from God. He’s trapped and finally admits the ugly truth. Often God has to bring us to similar places before, like addicts, we admit we’ve made a complete mess of things by our disobedience and can’t fix it. With Jonah finally going to Ninevah, the discussion moves to repentance. They repented of their injustice, and moved toward justice. They were a violent, oppressive people. Repentance meant turning away from their violence and oppression. When the gospel calls us out of sin, it also calls us out of injustice. This is Keller’s connection between the gospel and “social justice”. He’s not preaching a social gospel, but the gospel of Christ’s penal, substitutionary atonement with implications for justice in society. He’s not preaching a privatized faith nor a civil faith or religion. Personal faith is lived out in society as well as the community of faith. With God relenting another storm arises, this time in Jonah’s heart. He’s beyond angry. In Jonah’s mind, relenting from destruction means the inevitable destruction of Israel. He’s blind to Israel’s sin, apparently, just as we tend to be to our sin and the sin of our communities. God responds with patience and instruction. He is not only concerned about Israel, but all these people who also bear His image. He even cares about the livestock. That’s who He is. Unlike Jonah, Jesus wept over Jerusalem over the impending destruction for its wickedness. Both God’s righteousness and His love are functions of His goodness! We don’t play them against one another but embrace them both as grounded in His goodness. So, this same God can justify the wicked because He loved them in sending His Son as a propitiation for their sin. Jesus satisfied His righteousness and His love. He didn’t satisfy His righteousness so God was then free to love. Keller then moves to the three final themes of his book. Like Jonah (following Adam and Eve) we struggle to believe God’s Word is good for us. We minimize His wisdom and magnify ours. We trust our word over His. Keller defends the substitutionary atonement from the charge of “divine child abuse” as infamously made by Steven Chalke. That charge does damage to the Trinity, not simply atonement. The one God in three persons works to save us. Jesus is not some lesser being offered to change the mind of an angry deity. I n terms of our relationship to God’s world he returns the question of our neighbor. Calvin, he notes, reminded us that all our neighbors bear the image of God and we must remember that. Keller applies this to politics. We must find a way between the erroneous beliefs that we should just preach the gospel and avoid politics, or that politics is all-important. The two party system tries to push a “package deal” on us instead of allowing us to vote “a la carte”. 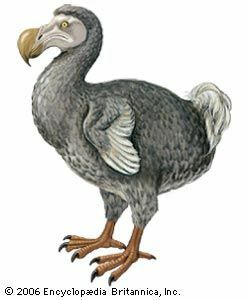 Pro-life Democrats are going the way of the dodo. But this doesn’t mean that Jesus is a Republican. They have anti-Christian views too. The gospel of the One who died for us when we were His enemies, calls us out of our partisanship and demonization of the other side. Loved by One we hated, we can begin to love ones we hated. Keller moves into how privileged status can play out in perverting justice. The same laws should apply to all within a society. He mentions “citizens over immigrants” without any mention of their legal or illegal status as immigrants (I think this matters in light of Romans 13). But immigrants and other vulnerable groups should not be taken advantage of by the powerful. Christians, who worship a just God, should care about justice.This is not at the expense of the God but on account of the gospel. I n our relationship to God’s grace Keller clearly puts a changed life as a result of salvation, not the cause of salvation. In this it differs from every other religion. Here he explores Lewis’ The Four Loves to discuss our attachment to our people and culture. Lewis affirms a love for our people, but notes “We all know now that this love becomes a demon when it becomes a god.” Love of country is not the same a fascism or racism. Lewis rejects anti-patriotism as extremism just as he rejected any nationalism that begins to denigrate and destroy those who are different. [It is important to understand what is meant when someone uses the term ‘nationalism’. It can simply refer to the love of country that is normal for most people, and not the political movement used to justify the supremacy of a nation.] When do you know love of country has gone toxic? When it ignores the blemishes of its past. EVERY country has very ugly blemishes in its past. In the present, every country is full of “good” and evil people (law abiding vs. criminals). Lewis notes that when a country begins to intentionally suppress or erases its misdeeds they begin to express racial/national/ethnic superiority. We then find ourselves on the doorstep of racism and oppression. This is a very helpful section. This is pertinent because it helps us to understand what Jonah experienced in himself. Turning from grace he was in the throes of a toxic nationality that wanted to withhold God from other people groups. Jesus purchased people from every tribe, tongue, nation and language. The gospel mission focuses on loving other people groups, not just your own. This is the heart of Jonah’s struggle and ours. Will we embrace the mystery of God’s mercy or will we try to bottle it up as exclusively for people just like us? Jonah doesn’t resolve that question in his life, because it isn’t fully resolved in the readers. The question is, what will you do next knowing that God cares about those people too? 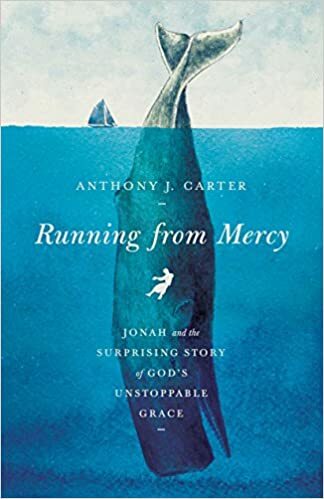 In the future I hope to read Anthony Carter’s book on Jonah,Running From Mercy: Jonah and the Surprising Story of God’s Unstoppable Grace, which was released at about the same time. But introversion will often shape how such a person and a congregation bears witness and evangelizes. The term “evangelism” often strikes fear in the hearts of introverts. This is frequently due to false assumptions about what it must look like. We may picture open air preaching, or going door-to-door to talk to complete strangers. We think it means engaging the person next to us on the airplane. We think it requires the mental dexterity, speed of thought (not thoughtfulness) many of us lack. For some people it does mean those things. Most of those people are quite extroverted. We see them doing their thing on YouTube, and they write the books on evangelism that make most of wish for the 2nd Advent, now. 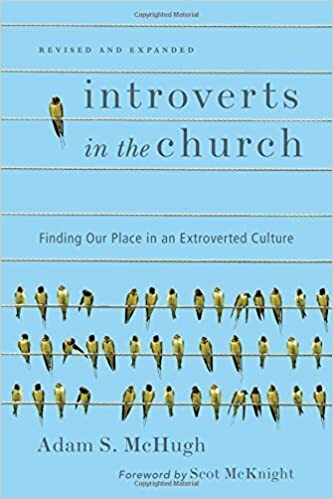 In Introverts in the Church, McHugh notes that introverts must be wary of falling into a private understanding of our faith. But neither should we assume that we must evangelize like Billy Graham, the local expert in Evangelism Explosion or some other gifted evangelist you know. God doesn’t want you to be them, He wants to use YOU. Evangelism isn’t about being the best “used car salesman” and closing the deal. I know people who seem to be “closers”, but most of us aren’t. We are ordinary people trying to be faithful and trusting that God is working thru, above and beyond our meager efforts. McHugh proposes that we be people willing to explore mystery together rather than the salesman pitching salvation to people who didn’t think they needed it. This reveals some of his more emergent leanings (based on names he dropped earlier in the book). So it is difficult to differentiate between how he thinks introverts share the gospel and his postmodern leanings at times. Particularly this one. There is also some confirmation bias for me. His approach is more relational, which confirms much of what I’ve been thinking. Introverts generally don’t talk to strangers, but as we grow in relationship we share more of ourselves, including our faith. Our faith is not shared out of our strength, but often out of our weakness. This treasure is in jars of clay. Our weakness often reveals the connection point for the gospel. This means witnessing is less confrontational (the gospel still confronts them even as it invites them). His understanding of evangelism ends up looking very much like spiritual direction. He notes much changed for him when he started to realize he was not initiating spiritual conversations so much as responding to how God was already at work in that person’s life. It became about “cultivating spiritual awareness.” As I ponder this, the entry points may often be the places where they are emotional (angry, glad, anxious) or depressed. Bearing witness to Christ, his sufferings and subsequent glories (1 Peter 1) can take different forms. At times it is confrontational as a person’s double-mindedness draws forth the bluntness of the Gospel (choose you this day…). I’ve had those conversations. At some point the person must believe or not, leaving their excuses behind. But leading up to that, you can leave plenty of hints or bits and pieces rather than a packaged gospel presentation. In my own evangelism I should remember the lessons I should have learning in my counseling training. When encountering resistance, point it out. Don’t try to plow thru it with “shock and awe”. Rather, “you seem to be putting up some walls right now. What’s going on?”, inviting them to share their fears, doubts or whatever is going on, if they want to. McHugh notes the quote often erroneously attributed to Francis of Assissi- “preach the gospel at all times- if necessary use words.” He fully affirms the need for words. He also reminds us that our words often need to be backed up by actions that adorn the gospel and make it attractive. We love them. After all, didn’t God love us when we were ungodly, weak, enemies and sinners (Romans 5)? Isn’t the gospel that God loved us first and sent the Son as an atoning sacrifice (1 John 3)? As a result, we can and should embrace a holistic approach to evangelism. Some may call that a “social gospel” but only if the goal isn’t the gospel. Many conservatives are allergic to “justice” or “mercy” as a part of evangelism. We are showing them justice and mercy so they will have a better grasp of who God is, not making justice and mercy the gospel. Nor calling them to justice and mercy apart from Christ who is just and One in whom the ungodly are justified. McHugh offers some more practical suggestions at the end of the chapter. Narrow your focus. Instead of trying to share the gospel with everyone you meet, develop a few relationships you already have. These are people you’ll be friends with whether or not they come to faith. But share that part of your life with them. Ask open ended questions. Don’t do it out of the blue or in a heavy handed fashion. They can be natural out-growths of your conversation or current events. Ask for time when you don’t have a good answer. It is okay if you need to research a question they ask. It shows humility, that you don’t have it all together and expect them to have it all together. Find a comfortable environment. You could invite them to Christianity Explored, or a Bible Study that investigates the claims of the gospel. Maybe discussion boards. Don’t debate. Explore. Know your role. You may not bring that person from darkness to light. You are, or should be, a part of a community of faith. Getting them in touch with your community is a great thing. A healthy body will contribute to the process according to each person’s gifts and strengths. As I noted, much of this confirmed what I was thinking already. That might be helpful. I could have done without the postmodern approach at times. I’m not advocating modernism. But we can’t assume a person has a postmodern world view. Or that the best way to grasp the gospel is thru the postmodern lens. The Bible, and the gospel, transcend philosophical frameworks and actually challenge them. But that is a different discussion. I’ve been wanting to read some of John Perkin’s books for some time now. 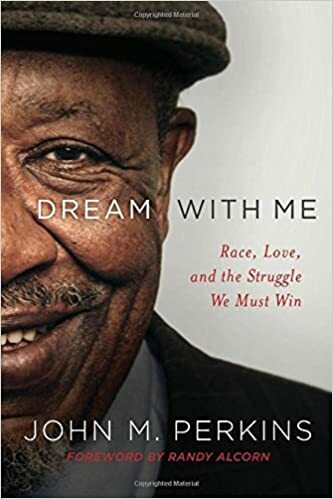 His new book, Dream with Me: Race, Love and the Struggle We Must Win, is a great place to start. This book is a little bit of everything. Partially autobiographical you get insight into the events that have shaped John’s life and ministry. This also gives people like me a better grasp of the black experience in America. He also provides some background to Christian Community Development Association (CCDA) and summarizes the Three R’s (relocation, reconciliation and redistribution). He also allows himself to dream and invites us to share his dream. So, there is a little bit of everything John is about in this book. Hopefully it will pique interest in his other books to develop areas on interest more deeply. John has about a third grade education, and notes he had some help in the process of writing (we all need good editors). As a result the book is easy to understand and generally easy to read. It is not overly complex but not simplistic either. At times it does seem to change direction unexpectedly. There is a stream of consciousness feel to it as if you’re sitting down and listening to John over a cup of tea (you can have coffee if you’d like). He begins with his story as part of the larger story of segregation in America. Things most of us take for granted were out of the realm of possibility for many/most black Americans. For instance, he noted not only blacks having different waiting rooms for the doctor, but not having appointments. They were for white people, and blacks got the left over time on a first come, first served basis. The medical clinic he founded in Mendenhall was intended to help blacks gain access to health care as if they were white people. And they didn’t exclude whites. He then shifts into the history of the CCDA. It is based on a biblical view of a new humanity in Christ living and working together for the common good. It is a vision of a “multiethnic, multicultural, multigenerational, multiclass” community based on the same elements in God’s kingdom. Perkins returns to race relations more specifically in talking about poor whites. Often the only relationships in which they had an power was in their relationships with blacks. They were often damaged and gained some sense of power and worth by playing the oppressor toward the one group lower on the social scale then they were. This, in turn, damaged them even more (oppression damages both the oppressed and the oppressor). He moves toward his experience with non-violence in the face of oppression. The move away from this is one of the things that concerns him about the present and the future. He believes people have the power to win with love, but often think they don’t (or don’t have the time) and resort to violence and rioting that makes they no better than their oppressors. From here he moves into the 3 R’s mentioned above. To assist a community, he believes it is best to live there. This often means relocating into the community so you help from the inside, not the outside (and security of your gated community). While there you seek reconciliation between groups and individuals in conflict. This can be race, class, culture or other barriers used by sin to divide and impoverish. He speaks of the redistribution of opportunity, not free stuff. Not working robs people of dignity. He addresses stewardship- sharing our skills and opportunities (like networks) with people who don’t have those skills or opportunities. These new relationships give the poor new opportunities. In the Gospel we see Jesus “relocating” to planet Earth as a man, reconciling all creation to God through the cross and making Himself poor to enrich others. This notion of incarnation is addressed in the next chapter. Perkins then talks about justice, and the differences between theology done by whites and blacks. He speaks in generalizations, obviously, but those differences affect how we view justice. White evangelical theology has focused on the personal side of redemption thanks to our commitment to individualism (among other things and despite some people’s commitment to covenant theology). Black theology, often written in response to white oppression sees redemption as communal as well as individual. Both are true and in tension with one another. But we tend to be polarized and talk past one another (on many topics unfortunately). He notes how both sides have sins in need of repentance and forgiveness. After a very personal chapter about his son Spencer, he moves into human dignity, the final fight (love) and forgiveness. I’m not sure about the order there but all three are important if we are to discuss reconciliation and justice. He sees the church as the primary communicator of these truths. Sadly, we’ve allowed tribalism (Democrat vs. Republican, black vs. white, poor vs. rich etc.) to set in so we now disparage those who disagree with us (unAmerican, denier, homophobic etc.). He mentions immigration in particular (recognizing government’s role as possibly different from a Christian’s view) as a place we should be able to talk, and disagree, peaceably. I certainly agree with him that the noise in our culture is too loud and we must move beyond it to think and act as responsible people instead of performing a series of knee jerk reactions that perpetuate the conflicts of our time. He briefly concludes with his dream which shouldn’t surprise us if we were paying attention throughout the book. It is the dream of a civil rights leader and Christian. It is a dream we should all share, one that is not simply about externals but about the heart. I leave John Perkins with the final word. Last night I spent the two and a half hours watching The Revenant. It was a bit plodding, and at times it was clearly brutal, and confusing. It was also oddly theological. It begins with an attack on a trapping party in a northern wilderness in the 1820’s. You aren’t sure why they are being attacked, but as the story unfolds, it seems to be connected with a missing young Souix woman. Or that could be a different tribe of Native Americans that comes along. Hence my on-going confusion. Little did I realize that this search for Powaqa was so central to the story line as Glass keeps coming close to being killed by this driven group of men. Glass was a tracker and woodsman with a Native American son. He was the guide for the (illegal?) trapping party which seeks to make its way back to their fort after the attack. It is along the way that Glass encounters an angry momma bear who mauls him horribly. This is the other key event of the movie. Captain Henry, who values Glass, returns to the fort while leaving the nearly dead Glass in the care of 3 other party members, including Glass’s teenage son. Fitzgerald is a man who fears death, and the Native Americans who he believes are on their trail. Unable to move under his own power, Glass is slowing them down. He wants to abandon Glass and digs a grave. Glass’s son refuses to leave his father. Glass is able to watch but unable to stop as Fitzgerald kills his son, buries Glass alive and leaves. He deceives the other young man who didn’t witness all of this. Glass pulls himself out of the grave, driven by his thirst for vengeance. Ans so he crawls toward the fort using only his arms through the frozen wilderness. Eventually he is able to walk and continues his trek despite only having a canteen and the bear skin. He faces the threats of cold, animals and the party searching for Pawaqa. Amazingly he avoids death and comes across a young Pawnee man eating raw buffalo meat. He receives mercy from this man whose tribe was killed by the Souix. He is moving south to find more Pawnee. The subject of revenge comes up, as you imagine it might from a man who is only alive to gain revenge. “Revenge is the Creator’s.” I’m not sure from whence his notion came, but it is an echo of Romans 12. The two men travel together as the Pawnee cares for the still healing Glass. That is until he stumbles upon a French group who kill him while Glass sleeps during a storm. Glass discovers these Frenchmen have a young Native American woman. He decides to assist her while she is being raped (yet again). While they are distracted by Glass who takes the Pawnee’s horse to escape, Pawaqa is able to escape. In the distance Glass hears the battle as the Souix gain their vengeance on the Frenchmen who abducted Pawaqa. Glass, however, had left his distinctive canteen behind. The lone remaining Frenchman has this canteen when he stumbles into the fort. This prompts Captain Henry to gather a search party to find his friend. While he is gone, Fitzgerald steals the Captain’s money and literally heads to the hills. After discovering this, Henry and Glass pursue Fitzgerald into the mountains. It is as Glass is on the brink of gaining his revenge that two things happen. First, he sees the Souix hunting party. Second, he remembered that “Revenge is God’s.” He pushes Fitzgerald into the water and the current takes him to the Souix who kill him. As the Souix ride by Glass, you see Pawaqa which explains why Glass is the only white man they don’t kill. What it was over I thought “God must be a group of angry Souix”. As I thought more, I was reminded that God often used “the nations” to bring judgment on His people. He used the Assyrians to judge the northern kingdom. It was equally ungodly Babylon who was used to judge Judah. In Romans 13 (don’t forget, the chapter divisions are note original) we see that the State bears the power of the sword to bring His vengeance upon the wicked. 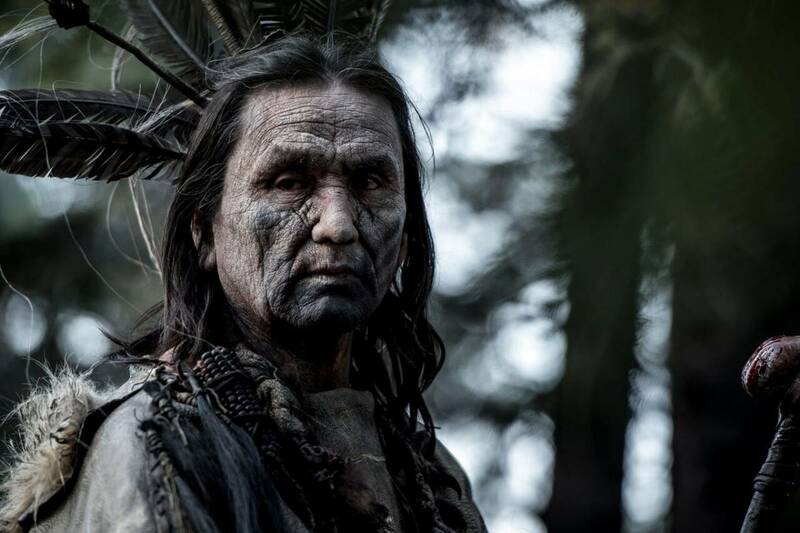 In The Revenant we see this Souix hunting or war party as the instrument of vengeance upon a variety of wrong-doers. While uncertain about the original battle, clearly the Frenchmen (murders, woman-stealers and rapists) and Fitzgerald (murder, betrayal and deceit). Sometimes what seems like chance or coincidence is God working to bring the truth to light, to bring people to judgment. C.S. 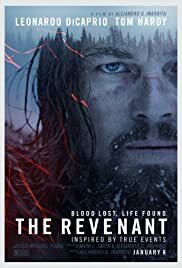 Lewis notes that “Coincidence is God’s way of remaining anonymous.” Perhaps The Revenant is more than vaguely theological, but theologically driven. For eyes that see it is, as God works through this series of coincidences to bring a number of wicked men to judgment. This judgment was not “traditional”, but in disputed territory it can come in unexpected ways. And when the legal authority is part of the problem it may come in unexpected ways. James is merely applying the message of the Old Covenant to the church. These priorities are there. Protestants have typically focused on the last of these, sanctification. In the 19th century a number of orphanages were built by leading figures like Charles Spurgeon and George Mueller. In recent days we’ve seen the focus on adoption arise, in part because of this verse. But what about widows? We haven’t focused on that very much which is to our detriment in my opinion. Though I’ve been a pastor since 1998 and a number of congregants have become widows in that time, I surely haven’t cared for them as well as I ought to have. The subject really isn’t talked about much. Recently our men’s study went through 1 Timothy and we spent a night talking about this. At about the same time one of our members became a widow. There just don’t seem to be any books on caring for widows. Thankfully Crossway has just released Caring for Widows by Brian Croft and Austin Walker. It is not a very long book, and it is filled with very short chapters. In this way it can quickly help pastors, deacons and ministry leaders know why they should care for widows and provide some practical ways of caring for the widows in your midst. The first section is written by Austin Walker. Austin focuses on the precepts, principles and examples found in Scripture to communicate that widows should be cared for and how they were cared for. As a result, he focuses on God’s love and concern for widows since they were among the most vulnerable members of society. Jewish law made provision for them (tithing, gleaning, Levirate marriage) so that poverty would not destroy them or tempt them to use sinful means to survive. God demanded justice and compassion for the widows, and if they failed He would hear their cries and bring curses on Israel. Austin also points us to God’s work to provide for particular widows. There is a chapter on Ruth and Naomi. He also reminds of of the widows that Elijah and Elisha ministered to in miraculous ways to demonstrate God’s loving compassion. Jesus also cared for widows, raising one’s dead son and making sure His own mother would be cared for prior to His death. We also see how the early church provided for widows in the book of Acts. As noted above, the chapters are short. Walker doesn’t waste much time. There is no fluff there, but he does a fairly thorough job making his point. Any church officer or ministry leader can’t avoid his point: we need to care for the widows that God has placed in our care. Brian Croft writes the second section of the book which focuses on some particular ways we can and should care for widows. These include the private ministry of the Word, equipping the congregation to come along side them, what it means to visit in various situations (home, hospital and nursing home),writing notes and cards, and celebrating holidays with them. Their needs are not simply financial. He could have spent a little more time on this, at least in helping churches evaluate which widows need financial assistance or working them through the process of downsizing so they can care for themselves. Ideally, husbands provide for their spouses through savings and life insurance. Here in America, Social Security provides some benefits. But these may be insufficient should health problems arise. The family should care for them, and then the church. The church needs to show them compassion even if they are not helping them financially. They have emotional, relational and practical needs that used to be met by their husbands which are no longer being met. Particularly if family is not nearby, the church becomes important in meeting these needs. It could be as simple as a deacon coming by to change A/C filters to fixing leaky faucets or other repairs. It is also a ministry of friendship by men acting like sons to her, or younger women acting like daughters. In terms of visitation, I was a little surprised by how short his hospital visits were. I’ve often found people in the hospital to be quite bored and willing to visit unless they were in great pain or other distress. He is right in that the dynamics change when someone is in the hospital. But whenever we visit it is important to include the ministry of the Word and prayer. There are also times when a widow’s loneliness is more profound: anniversaries, holidays and birthdays. These are times to send notes and cards reminding them that they are loved by God and you. He “caused the widow’s heart to sing for joy” (Job 29:13). That should be the aim of the church in ministering the grace of God in the Lord Jesus Christ to widows. It is not only the ministry the church should undertake, but it is an integral part of that biblical religion which James defined as “pure and undefiled … before God and the Father” (James 1:27). Taking care of the widows among us does not make for a dynamic program. But it is an important part of church ministry. This little book helps equip us for this important ministry. This is a book pastors, deacons and leaders should read, and implement. Some people don’t need to enter anywhere to abandon hope. Some people can’t seem to abandon hope no matter how bad the circumstances. I was listening to an interview with a former career Navy Seal. Part of the unspoken agenda of “Hell Week” is to bring the candidates to the point of despair, the point of giving up or thinking they are going to die. For him it was the pool. When you face death and lose your fear of death you build a wise soldier (not a reckless soldier). This builds the attitude of hope, so to speak, the idea that any problem or situation can be solved when we work together. Even if it means you or your team mate may die in the process. There is something there to help us understand what is should mean to be a Christian. We have faced death & condemnation and been delivered by Christ. We should no longer fear death and live in hope thru the living Christ who has overcome the world. But … just as not everyone is wired to be a Seal, not every Christian is wired to, or called to be, a martyr. Augustine hits on this. Sort of. We all tend to fixate on one or two attributes of God, the ones that fit our general temperment. This puts us at risk. 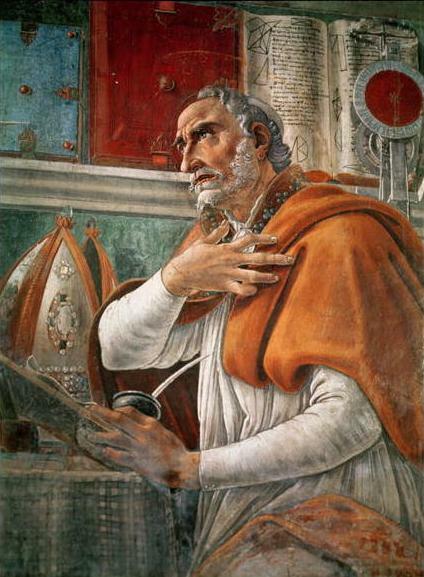 Augustine posits this in the fact that God is more than the attributes we fixate on. He is longsuffering AND just; tender-hearted AND just. The true God shocks us at times. He’s not what we want Him to be. He isn’t less, but more than we want Him to be (to steal a Kellerism). When God revealed Himself to Moses (Ex. 33-34) He revealed both His abundant mercy and His persistent justice. Those fixated on God’s gentleness are often endangered by hope. They forget God’s justice and holiness and think they have forever and a day to repent. They are fixated on the justice and holiness of God and do not see His mercy, goodness, compassion and patience. They veer into despair when they sin as if they have exhausted God’s mercy. Each of us have a tendency toward hope or despair. This is not absolute. Hopeful people can experience despair and despairing people can experience hope. But you will have a tendency toward one that poses a danger to you as you face your sin. As a result you will have to spend more time meditating on the opposite attributes of God. Those who despair need to consciously fixate on God’s mercy and patience. Those who “indulge” in excessive hope (one that puts off repentance presuming on mercy) need to fixate on God’s justice (not to the exclusion of mercy). Perhaps this is part of the current debate over law and gospel with regard to sanctification in Reformed circles. Perhaps some are fixating on mercy. Perhaps others, fixated on justice, emphasize the role of the Law. Some are abounding in hope, and others while not despairing, warn against a superficial view of grace that forgets God’s justice as also revealed in the Gospel. Just a thought. Sadly I think this would apply to most American Christians. Most have probably never even heard of the Heidelberg Catechism (HC), much less a book on it. While my own denomination holds to the Westminster Confession of Faith, we hold the HC in high esteem as an expression of Reformed Theology. Each has their strengths. One of the strengths of the HC is its pastoral tone (the Westminster is more theological in tone, thought it does express some pastoral concerns) and it’s structure. It is not structured like a systematic theology but is structured largely around the Apostles’ Creed, the Ten Commandments and the Lord’s Prayer. It uses these three as guides to instruct us in basic theology and Christian living. It was designed for children but is suitable for adults. The questions are broken into 52 sections so the whole catechism is covered in the span of a year. The Good News We Almost Forgot: Rediscovering the Gospel in a 16th Century Catechism was taken from Kevin DeYoung’s weekly articles in the church newsletter. This is an introduction to the HC so the chapters are not long or exhaustive. Don’t mistake that for shallow or superficial. DeYoung usually does a good job of identifying the main points he must stress in a given week. He is not overly technical, so less theologically-oriented or experienced Christians can understand and benefit from what he has to say about the HC. DeYoung properly notes that the structure of the HC is important (as does Bridges in the Foreward: guilt => grace => gratitude). He brings this up when talking about the Law. The purpose of the Law for Christians is to show us the way of gratitude, how we please God and what it looks like to become like Christ. As Israel receive the Law AFTER being redeemed from Egypt, we must remember that as Christians we have already been redeemed and do not seek to redeem ourselves by our obedience. This is not just an Old Testament idea, but as Bridges notes it is also the pattern of Romans (and Paul’s other general letters).